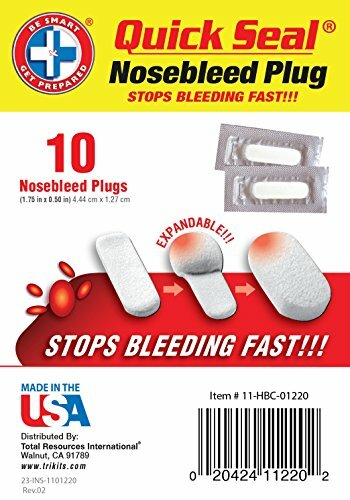 The be smart get prepared quick seal nosebleed plugs are expandable and non-stick, so they are easy to remove. No odor, burning or pain is caused the plugs. You can form the plug to your specifications with a scissors prior to use. Package comes complete with 10 white colored plugs. View More In Bath & Shower Aids. If you have any questions about this product by Be Smart Get Prepared, contact us by completing and submitting the form below. If you are looking for a specif part number, please include it with your message. Corner Shower Bench Seat Bathroom Tub Chair Handicap Aid Portable Small Stool Adult Size Adjustable Back Helper & eBook by AllTim3Shopping.